Why eat your Easter eggs one at a time, when you can devour them all at the SAME time in one convenient block? 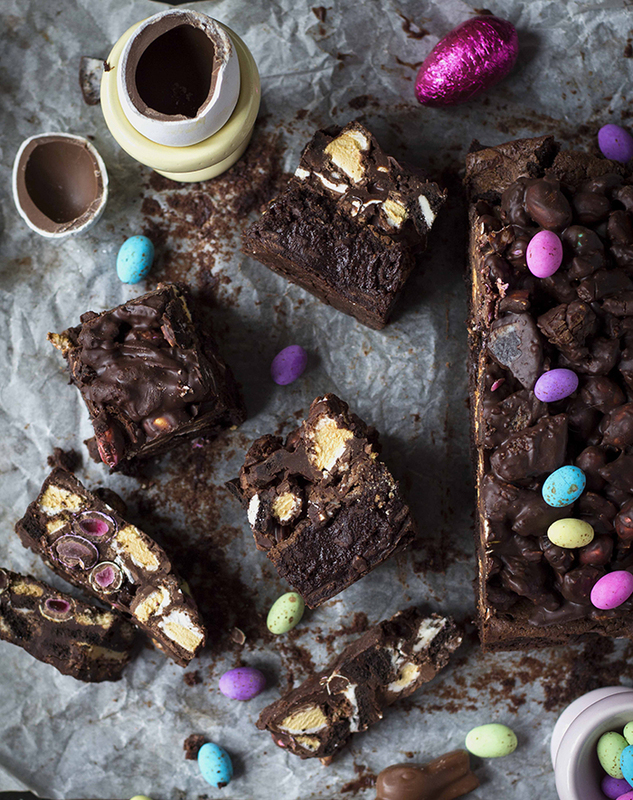 These dark chocolate brownies are topped with an Easter egg rocky road which I’ve crammed all my favourites into – those moreish white candy-coated chocolate eggs, marshmallow eggs, and my absolute favourite; mini speckled eggs (which I should seriously consider purchasing shares in). I’ve also added some Oreo’s for biscuity crunch but you can add your own favourites and turn them into your own Easter fantasy bars. 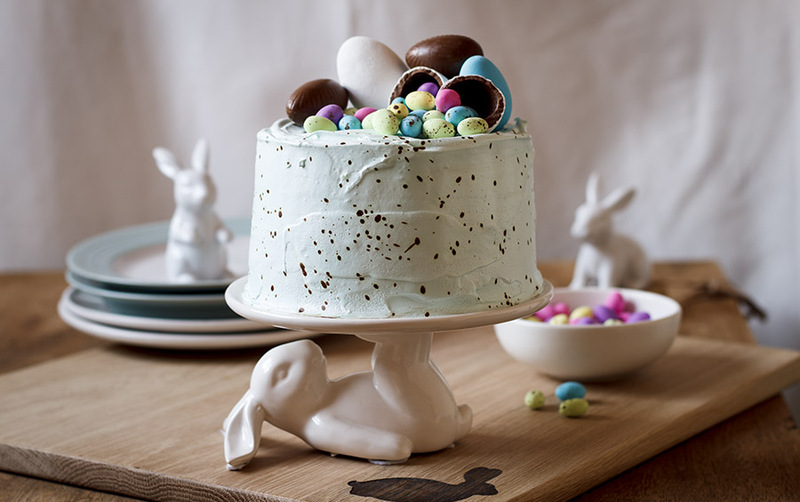 Whether you’re making these FOR Easter to wow the kids (they’ll love you forever!) 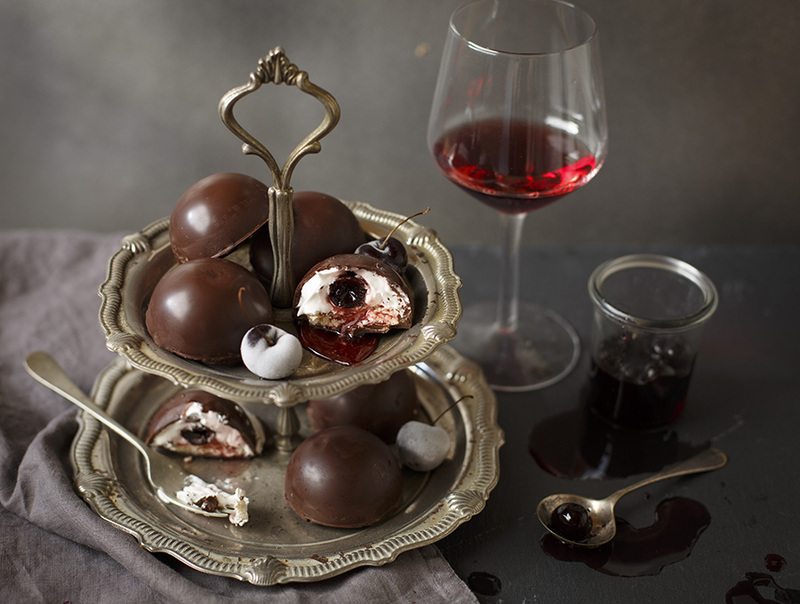 or AFTER Easter as a way to use up your leftover stash of chocolate (what does ‘leftover chocolate’ even MEAN?! ), these brownies are so darn swoon-worthy they’ll become a family favourite. 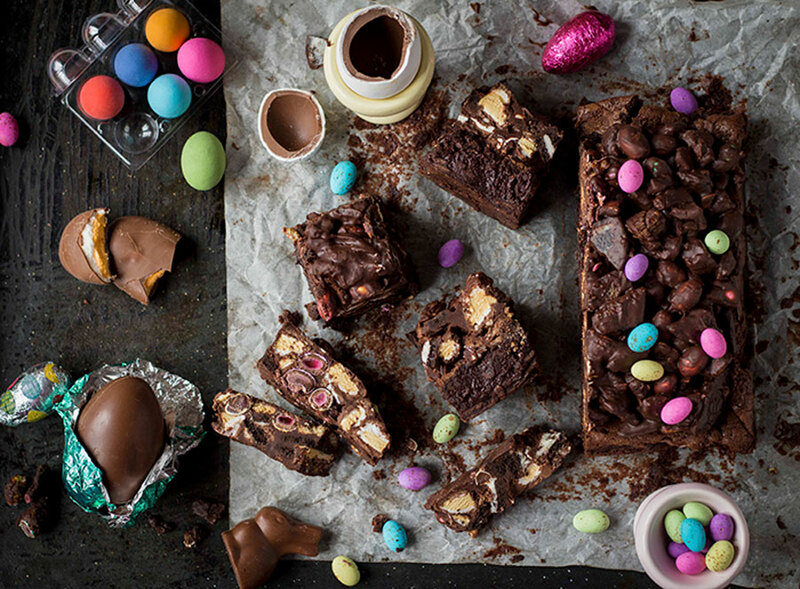 Put simply, they’re an Easter explosion of chocolate happiness in your mouth and you need to make them now! 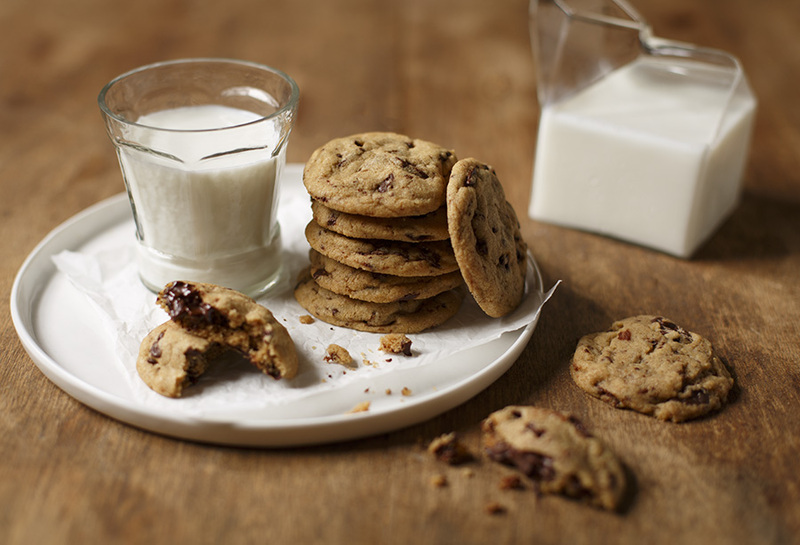 Side note – imagine these bars crumbled up into vanilla ice cream?! Oh em geeee. Preheat the oven to 180C and grease a 20cm square baking tin and line the base with baking paper. 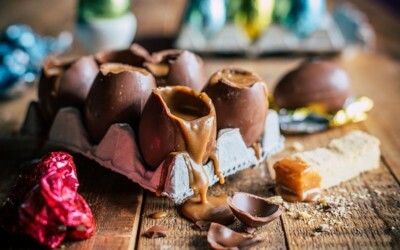 Melt the chopped chocolate, butter and vanilla together in a heatproof bowl set over a saucepan of barely simmering water, making sure the surface of the water does not touch the bowl. Remove from the heat and stir in the sugar, then leave to cool for a few minutes. Beat in the eggs, then sift in the flour, cocoa and salt and fold in until the mixture is smooth and glossy. Pour the mixture into the prepared tin and level the top. Bake in the oven for 25 minutes or until the top starts to crack but the centre remains gooey. Turn off the oven and leave the brownies inside for a further 5 minutes before removing. Leave to cool completely in the tin. 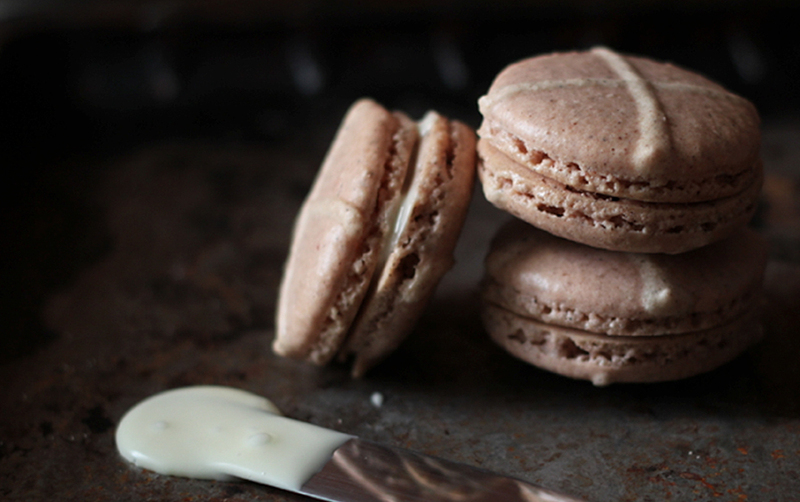 Make the topping by melting the butter then add the dark chocolate and melt until smooth. Allow to cool then stir in the biscuits, marshmallows, speckled eggs and white eggs.